As an academic in software engineering, I want to make the engineering of software more effective so that society can benefit even more from the amazing potential of software. This requires not just good research, but also success in innovation: ensuring that research ideas are adopted in society. Why is innovation so hard? How can we increase innovation in software engineering and computer science alike? What can universities do to increase their innovation success rate? I was made to rethink these questions when Informatics Europe contacted me to co-organize this year’s European Computer Science Summit (ECSS 2013) with special theme Informatics and Innovation. Informatics Europe is an organization of Computer Science Departments in Europe, founded in 2005. Its mission is to foster the development of quality research and teaching in information and computer sciences, also known as Informatics. In its yearly summit, deans and heads of department get together, to share experience in leading academic groups, and to join forces when undertaking new activities at a European level. When Informatics Europe asked me as program chair of their two day summit, my only answer could be “yes”. I have a long term interest in innovation, and here I had the opportunity and freedom to compile a full featured program on innovation as I saw fit, with various keynotes, panels, and presentations by participants — a wonderful assignment. In compiling the program I took the words of Peter Denning as starting point: “an idea that changes no one’s behavior is only an invention, not an innovation.” In other words, innovation is about changing people, which is much harder than coming up with a clever idea. In the end, I came up with the following “Dimensions of Innovations” that guided the composition of the program. Innovation needs optimists who believe they can change the world. One of the best ways to bring a crazy new idea to sustainable success is by starting a new company dedicated to creating and conquering markets that had not existed before. Many of the activities at ECSS 2013 relate to startups. 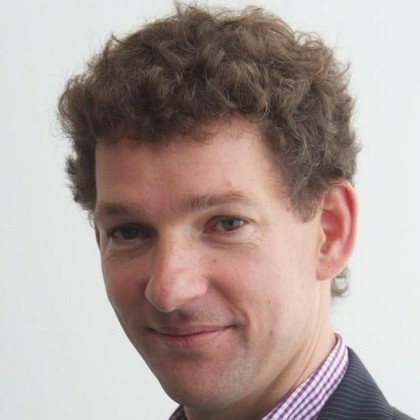 The opening keynote is by FranÃ§ois Bancilhon, serial entrepreneur currently working in the field of open data. Furthermore, we have Heleen Kist, strategy consultant in the area of access to finance. Last but not least, the first day includes a panel, specifically devoted to entrepreneurship, and one of the pre-summit workshops is entirely devoted to entrepreneurship for faculty. Patents are traditionally used to protect (possibly large) investments that may be required for successful innovation. In computer science, patents are more than problematic, as evidenced by patent trolls, fights between giants such as Oracle and Google, and the differences in regulations in the US and in Europe. Yet at the same time (software) patents can be crucial, for example to attract investors for a startup. Several of the ECSS keynote speakers have concrete experience with patents — Pamela Zave at AT&T, and Erik Meijer from his time at Microsoft, when he co-authored hundreds of patents. Furthermore, Yannis Skulikaris of the European Patent Office will survey patenting of software-related inventions. An often overlooked dimension of innovation are open source and open data. How much money can be made by giving away software, or by allowing other to freely use your data? Yet, many enterprises are immensely successful based on open source and open data. How can universities use education to strengthen innovation? What should students learn so that they can become ambassadors of change? How innovative should students be so that they can become successful in society? At the same time, how can outreach and education be broadened so that new groups of students are reached, for example via on line learning? To address these questions, at ECSS we have Anka Mulder, member of the executive board of Delft University of Technology, and former president of the OpenCourseWare Consortium. She is responsible for the TU Delft strategy on Massive On-Line Open Courses (MOOC), and she will share TU Delft experiences in setting up their MOOCs. Furthermore, ECSS will host a panel discussion, in which experienced yet non-conformist teachers and managers will share their experience in innovative teaching to foster innovation. Policy makers and university management are often at loss on how to encourage their stubborn academics to contribute to innovation, the “third pillar” of academia. Therefore, ECSS is a place for university managers to meet, as evidenced by the pre-summit Workshop for Deans, Department Chairs and Research Directors . Furthermore, we have executive board member Anka Mulder as speaker. Last but not least, we have Carl-Cristian Buhr, member of the cabinet of Digital Agenda Commissioner and EU Commission Vice-President Neelie Kroes, who will speak about the EU Horizon 2020 programme and its relevance to computer science research, education, and innovation. All talk about innovation is void without inspirational content. Therefore, throughout the conference, exciting research insights and new course examples will be interwoven in the presentations. For example, we have Pamela Zave speaking on The Power of Abstraction, Frank van Harmelen addressing progress in his semantic web work at the Network Institute, and Felienne Hermans on how to reach thousands of people through social media. Last but not least we have Erik Meijer, who is never scared to throw both math and source code in his presentation. 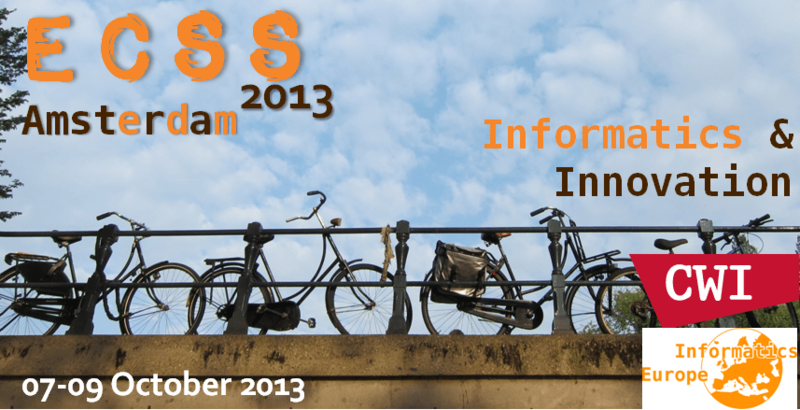 The summit will take place October 7–9, 2013, in Amsterdam. You are all welcome to join!